Pinewood Crates present an easy and smart solution for warehousing. The crates are designed in a closed structure that completely protects the fragile items from any kind of shock during transport. 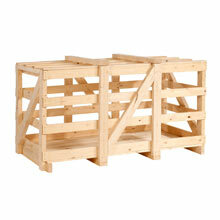 Best quality hard wood and pine wood is used in making these crates strong and durable.